Apple has reportedly approved the first game subscription app for iPads this week, and then mysteriously yanked it from the App Store on Wednesday. Seattle-based game publisher Big Fish Games bragged about being the first to get approval from Apple to offer a game subscription app, only to find out that hours later that Apple removed the app from the App Store without offering any explanations, according to a Bloomberg report. 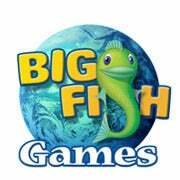 Play Instantly from Big Fish Games was meant to be the first cloud gaming service, offering casual games streamed via Wi-Fi from the company’s servers to iPads. The app was free to download and free to use for a limited time each day. A monthly $6.99 subscription would have offered unlimited, full-screen experience with access to all of the games in the service. The game publisher said it worked with Apple for several weeks in order to get the gaming subscription system rolling though the App Store, while Apple kept 30 percent of the earning, as with most transactions though its ecosystem. Big Fish founder Paul Thelen reportedly said Apple even OK’s the press release for the launch. “Each player’s progress for each game is saved in the cloud, allowing them to pick up where they left off regardless of the device they are using. Players can jump into any game, exit out and later pick up where they left off on the same device they started on, or on any other supported device,” the Big Fish release explained. It’s still unclear why Apple pulled the plug on Big Fish’s app. The company did not confirm the arrival of the first game subscription app, let alone talk about its sudden disappearance from the App Store. Apple heavily scrutinizes each app destined for the App Store, and Play Instantly must have passed the rigorous testing process in order to get approved. It is possible Apple changed its mind at the last moment over whether one app should offer you access to multiple games via a subscription, instead of the current requirement to buy each app or game individually. Either way, Apple would still keep 30 percent of the proceedings. It’s worth noting there were several other instances in which Apple has pulled an app unexpectedly. Meanwhile, Big Fish says it has designed the yanked Play Instantly app so that it can be easily modified to work on Android phones, tablets and Internet-connected TVs, which should be ready for the beginning of next year.